Course Design Tutorial - This tutorial was developed as a web-only version of the popular On the Cutting Edge workshop on effective and innovative course design. While the workshop was originally designed for geoscience faculty, the tutorial provides examples from many disciplines, including those outside the sciences, and offers an easy-to-apply strategy for designing courses in any discipline. A synopsis of the tutorial is also available. Early Career - Course Design - Effective teaching begins with effective course design, which takes advantage of the growing body of research about how people learn. 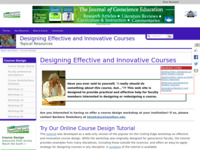 For a thorough treatment of the course design process, go to the Cutting Edge pages on Designing Effective and Innovative Courses, which include a Course Design Tutorial and a Course Goals and Syllabi database. 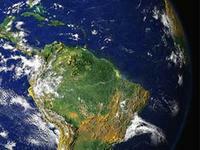 Teaching Introductory Courses - This web module is for those who teach introductory Earth science courses. Here you will find ideas for designing a new course, spicing up an existing course design, or adding innovative activities or teaching methods. 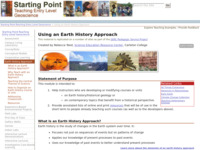 Using an Earth History Approach - This collection of pages explains how and why an Earth history approach is useful in teaching geoscience. 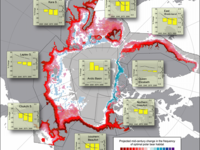 It also contains pages such as teaching the geologic timescale and land, life, and climate change to show how geologic time is important in many aspects of the geosciences. 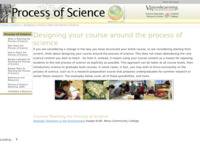 Designing a Course to Teach the Process of Science - If you are considering a change in the way you have structured your entire course, or are considering starting from scratch, think about designing your course around the process of science. 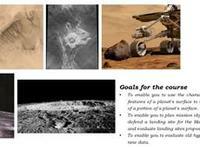 This does not mean abandoning the core science content you wish to teach - far from it. Instead, it means using your course content as a means for exposing students to the real process of science as explicitly as possible. Developing Student Understanding of Complex Systems in the Geosciences - Explore resources about developing students' understanding of complex systems, including promising pedagogical approaches, tips on assessment, activities, and course descriptions, and much more. Teaching Geoscience Online - Learn about effective pedagogy for the online classroom, including creating an interactive environment, improving student motivation, creating labs, teaching with datasets and more. Tips for designing online courses as well as example activities and references are also provided. Service Learning - Find resources designed to help you implement a service learning component in your course or curriculum to engage students while serving the community. This module includes advice for organizing a project using the 8 Block Model and strategies for finding and working with community partners as well as a set of example service learning projects that can be used to get ideas for your course. Course Descriptions. 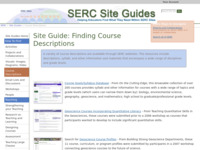 This site guide highlights collections of course descriptions from across SERC sites. Many of the collections include syllabi, course goals statements and assessment ideas. 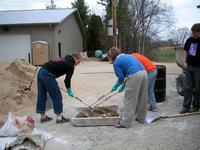 The collections span a range of grade levels and disciplines with a strong emphasis on undergraduate geoscience courses.